An artist reception for Nancy Raufman’s exhibition “Spring Explosion: Color & Light” will be held Friday, May 3rd from 3 pm to 6 pm at Raven’s Wish Gallery, 101 W. Milwaukee Street in Janesville, WI. 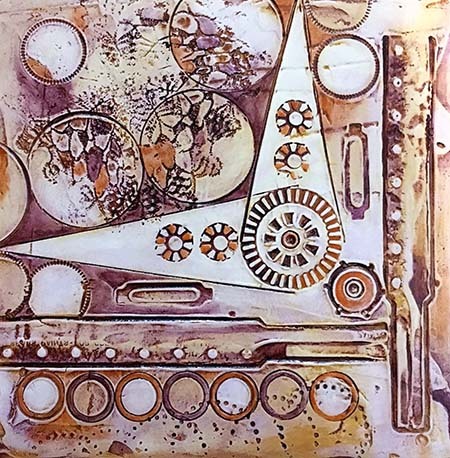 Raven’s Wish Gallery is pleased to announce an art exhibition by Nancy Raufman of Janesville. “Spring Explosion: Color & Light” is a series of acrylic paintings meant to embody the emergence, hopefulness, and joy of the spring season. Raufman’s bold style, employing large blocks of color, is particularly appropriate for depicting landscapes. As an artist, Raufman began in midlife devoting time each day and dedicated space in her home in which to concentrate, study, and learn her craft. The show and reception are FREE and open to the public, and the exhibition will hang through May 29th. To learn more about Nancy’s artistic perspective, CLICK HERE. Raven’s Wish Gallery is located at 101 W. Milwaukee in historic downtown Janesville, Wisconsin. We represent more than 80 local and national painters, jewelers, photographers, and wood, glass, textile, and mixed media artists. The gallery hosts artist exhibitions and unique events year-round. 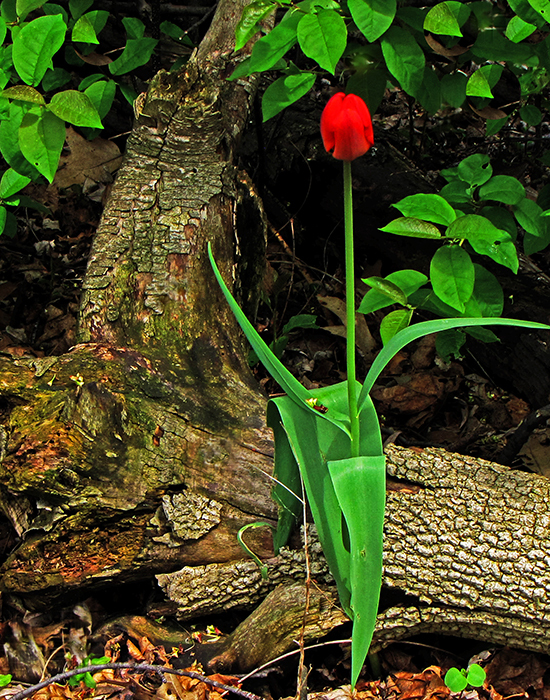 Raven’s Wish Gallery is pleased to announce an art exhibition by local photographer Den Adler of Janesville. “A Matter of Seeing” is a large body of images from Adler’s extensive portfolio. Known generally for his transportation shots, especially trains, Adler’s current show is wide-ranging including iconic Wisconsin images, gardens, architectural abstracts, travel, and yes, a couple of trains. An artist reception for Den Adler’s exhibition “A Matter of Seeing” will be held Saturday, March 30th from 2 pm to 4 pm at Raven’s Wish Gallery, 101 W. Milwaukee Street in Janesville, WI. The show and reception are FREE and open to the public, and the exhibition will hang through April 24th. 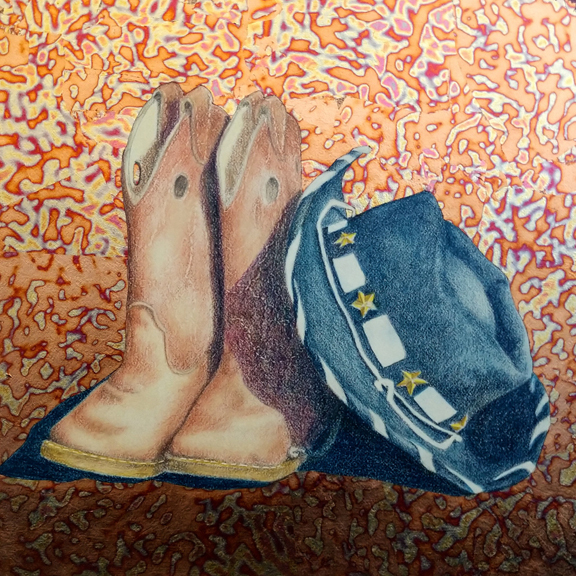 Raven’s Wish Gallery is pleased to announce a shared art exhibition by Dava Dahlgran (colored pencil) and Gail Pratt (manipulated photography) both of Janesville. An artist for more than 50 years, Dahlgran’s chosen medium is colored pencil which she uses to create life-like images and to tell stories. She is a signature member of the Colored Pencil Society of America, having earned status in both pure pencil and mixed media. Pratt is a William’s Bay native whose poignant, manipulated photographs have a haunting, painterly quality. An artist reception will be held from 4 pm to 7 pm on November 30th at Raven’s Wish Gallery, 101 W. Milwaukee Street in Janesville. The exhibition is free and will hang through January 5th. Gallery hours are from 10 am to 6 pm Monday through Friday and 10 am to 3 pm on Saturday. To learn more about Dava’s artistic perspective, CLICK HERE. Born and raised in Wisconsin, Redner actively exhibits in various shows in the area, as well as juried exhibitions in Florida and Arizona. Redner is a member of the Janesville Art League, Whitewater Art Alliance, the Society of Children’s Book Writers and Illustrators, and the Beloit Plein Air Painters. An artist reception will be held from 6 pm to 8 pm on Friday, September 28th at Raven’s Wish Gallery, 101 W. Milwaukee Street in Janesville. The exhibition, free and open to the public, will hang through October 24th and the gallery is open from 10 am to 6 pm Monday through Friday and 10 am to 3 pm on Saturday. To learn more about Lynnette’s artistic perspective, CLICK HERE. 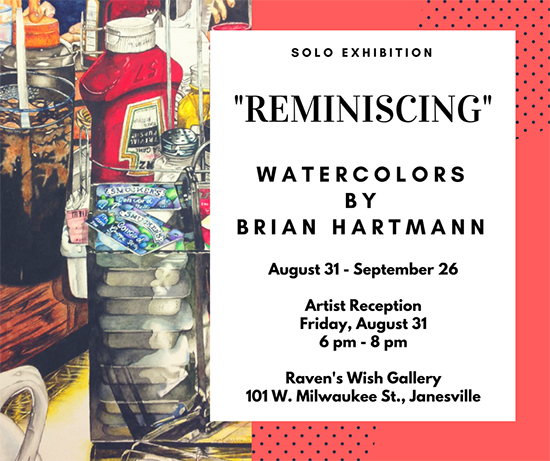 Raven’s Wish Gallery is pleased to announce a solo art exhibition by Brian Hartmann of Beloit. “Reminiscing,” a collection of detailed watercolors, invites you indulge in the enjoyable recollection of past events. Brian’s subject matter choices will remind you of a particular time in your life, typically one that has made an impression, and helped shape who you are as a person. In discussing his work, Hartmann states, “I’m not always drawn to the most complex compositions, but I do love the challenges they present. Taking a unique perspective makes for a more compelling composition.” Hartmann is a member of the Janesville Art League, the Wisconsin Regional Art Association, and the Wisconsin and Illinois Watercolor Societies. Free and open to the public, an artist reception will be held from 6 pm to 8 pm on Friday, August 31st at Raven’s Wish Gallery, 101 W. Milwaukee Street in Janesville. The exhibition will hang through September 26th and the gallery is open from 10 am to 6 pm Monday through Friday and 10 am to 3 pm on Saturday. Raven’s Wish Gallery is pleased to announce a shared art exhibition by Susan Beck (Beloit) and Alicia Reid (Janesville). 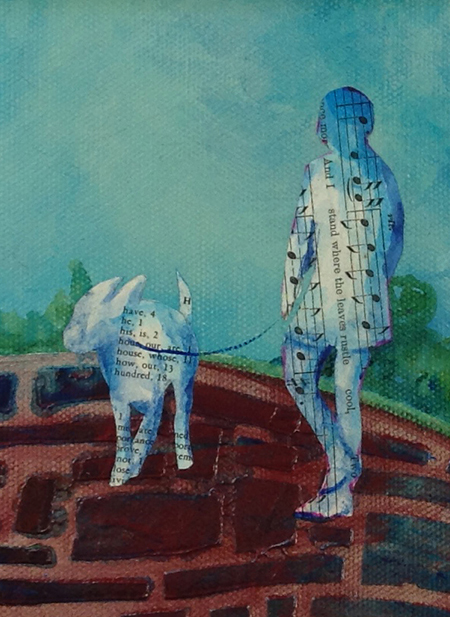 “Gone to the Dogs”, A Celebration of our Canine Companions, is a body of work including collage, watercolor, and assemblage celebrating relationships with our canine companions. 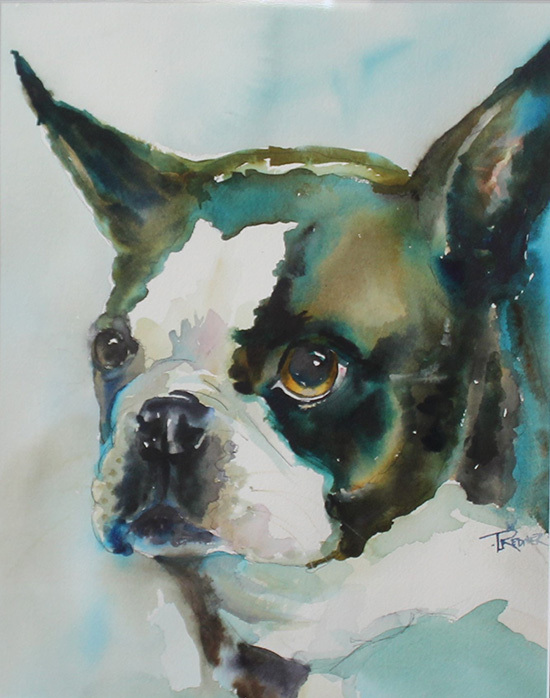 Proceeds from artwork sales will benefit animal rescue organizations including Friends of Noah, Humane Society of Southern Wisconsin, and Rocky Ridge Refuge. Both artists live and work with a variety of creatures in their lives. Reid has two rescue dogs that typically share her day at the gallery. Beck, throughout her life, has rarely been without a dog (or two) at her side. 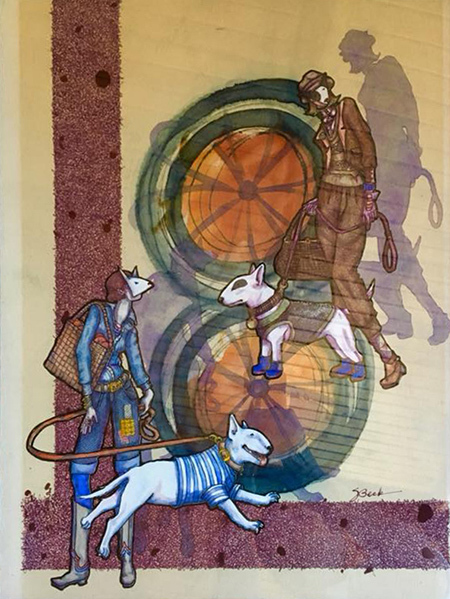 An artist reception for the exhibition “Gone to the Dogs” will be held Friday, July 27th from 6 pm to 8 pm at Raven’s Wish Gallery, 101 W. Milwaukee Street in Janesville, WI. The show is free, the public is welcome, and the exhibition will hang through August 29th. The gallery is open from 10 am to 6 pm Monday through Friday and 10 am to 3 pm on Saturday. 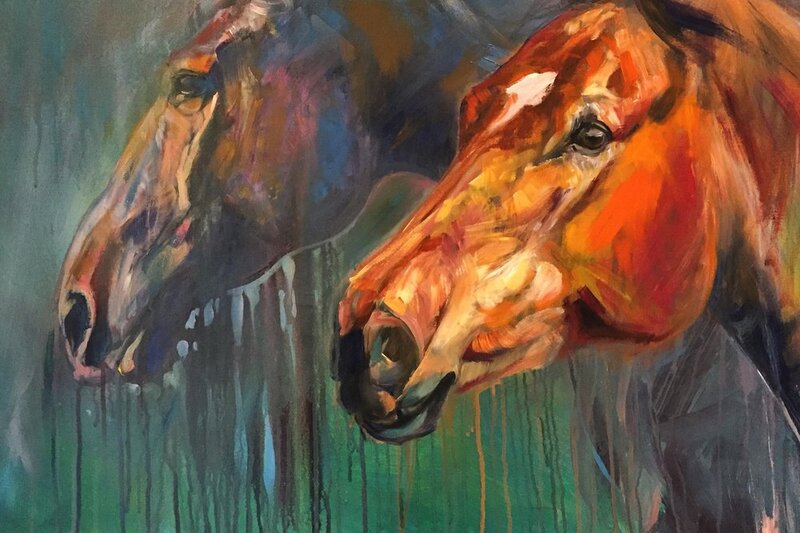 Raven’s Wish Gallery is pleased to announce a solo art exhibition, If Wishes Were Horses, by Jessie Willyerd of Janesville. Jessie is best known for her colorful acrylic paintings and pastel drawings that merge together abstract elements and realistic equine forms. She believes that the horse is a powerful symbol representing the capacity we all hold for change and growth through the freedom to discover and be who we truly are. An artist reception will be held from 6 pm to 8 pm on Friday, June 29th at Raven’s Wish Gallery, 101 W. Milwaukee Street in Janesville. The exhibition will hang through July 25th and the gallery is open from 10 am to 6 pm Monday through Friday and 10 am to 3 pm on Saturday. Raven’s Wish Gallery is pleased to announce a solo art exhibition "Passageways" by Pam Veitenheimer of Milton. Using primarily acrylic paint, Pam creates vibrant, dynamic works in two distinct styles. 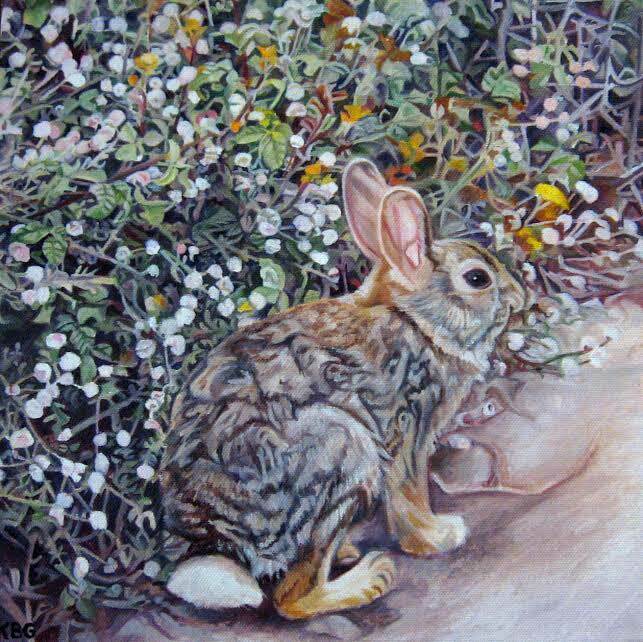 Her representational work (flowers, wildlife, etc.) is very graphic in style with rich color densities, appearing to ebb and flow as if in motion. Pam's textural abstracts are imprinted in a compound, dried, and covered with several thin glazes of paint creating depth and interest. An artist reception will be held from 5 pm to 7 pm on Friday, May 4th at Raven’s Wish Gallery, 101 W. Milwaukee Street in Janesville. The exhibition is FREE, open to the public, and will hang until May 23rd, 2018. Raven’s Wish Gallery is open from 10 am to 6 pm Monday through Friday and 10 am to 3 pm on Saturday. Raven’s Wish Gallery is pleased to announce a shared art exhibition by Jennye Byrns of Janesville and Richard Peterson III of Beaver Dam. "Unbreakable Squared" will feature work including individual pieces by each artist along with several collaborative works. 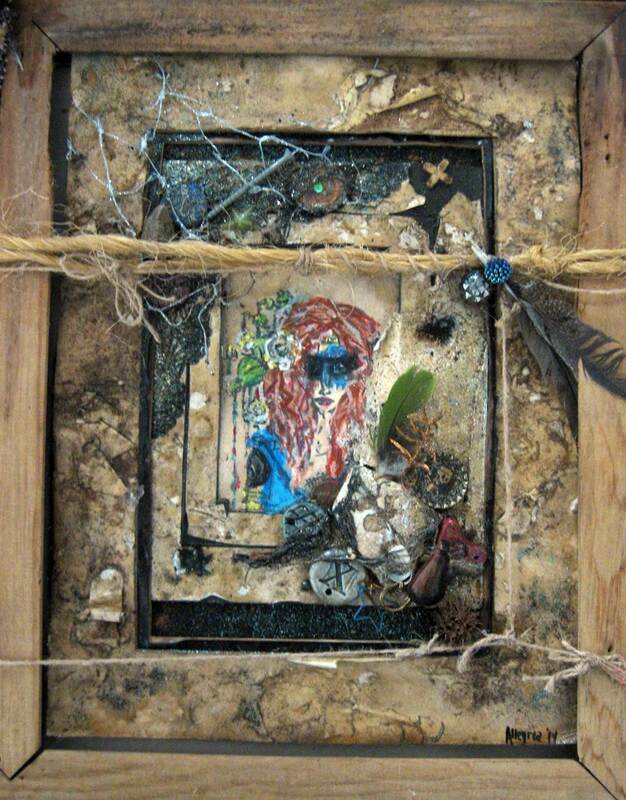 Jennye Byrns is a mixed media assemblage artist with interests in everyday objects (staplers, paintbrushes, doll parts, etc.) given strange new life. Richard Peterson III specializes in both decorative and functional steel sculpture. An artist reception will be held from 6 pm to 8 pm on Friday, April 6th at Raven’s Wish Gallery, 101 W. Milwaukee Street in Janesville. The exhibition will hang through April 25th, and the gallery is open from 10 am to 6 pm Monday through Friday and 10 am to 3 pm on Saturday. The featured artist for October at Raven’s Wish Gallery is fiber artist Kristine Moser of Janesville. Using fabric, ribbon, and an amazing array of eclectic beads and buttons, Moser has created a sublime tribute to autumn entitled “A Walk in the Woods.” Leaves, trees, and creatures you’d expect to see on a forest walk are featured in her colorful tapestries. An artist reception will be held from 5 pm to 7 pm on Friday, September 29th at Raven’s Wish Gallery, 101 W. Milwaukee Street in Janesville. The exhibition will hang through October 25th and the gallery is open from 10 am to 6 pm Monday through Friday and 10 am to 3 pm on Saturday. An artist reception will be held from 6 pm to 8 pm on Friday, September 8th at Raven’s Wish Gallery, 101 W. Milwaukee Street in Janesville. The exhibition will hang through September 27th and the gallery is open from 10 am to 6 pm Monday through Friday and 10 am to 3 pm on Saturday. To learn more about this artist and her perspective, CLICK HERE. Be notified of all upcoming gallery events by joining our email list! Learn more about Robert's perspective as an artist by reading our latest Be Inspired. 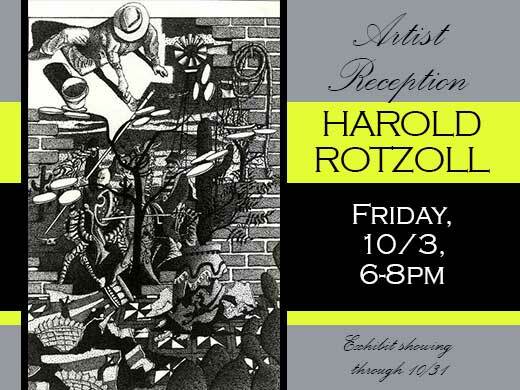 Raven’s Wish Gallery is pleased to announce an art exhibition by local artist Robert Witzack of Orfordville. “New Works” is a body of work completed in the last three years. Included in the show are a series of small oil paintings envisioned as devotional works for meditation and the spiritual, both Western and Eastern traditions. Also displayed are additional pieces in colored pencil and a painting of Southside Brewery No. 2, created for a local brewery researcher. Witzack began painting in the mid-1960s (B.S in Fine Art, UW Madison). Most of his work is representational oil and his subject matter includes portraits, still life, and landscapes. His interests range from music, auto mechanics and motorsports, to trains and vintage timepieces. After a career as a railroad and engineer service employee, Witzack currently works part-time at a downtown jeweler’s shop repairing clocks and watches. Witzack’s exhibition will be at Raven’s Wish Gallery, 101 West Milwaukee Street in Janesville, through August 23rd. The show is FREE to the public and open during gallery hours, 10 am to 6 pm Monday through Friday and 10 am to 3 pm on Saturday at 101 W. Milwaukee Street in historic downtown Janesville. At Raven’s Wish Gallery, the featured artist for July is Jack Zellner. One can see the influence of growing up in Wisconsin in many of Jack’s paintings which depict the rich imagery of farmland, woods, inland lakes, and the bays and shorelines of Lake Michigan. His approach to painting landscapes is different from many traditional landscape artists. 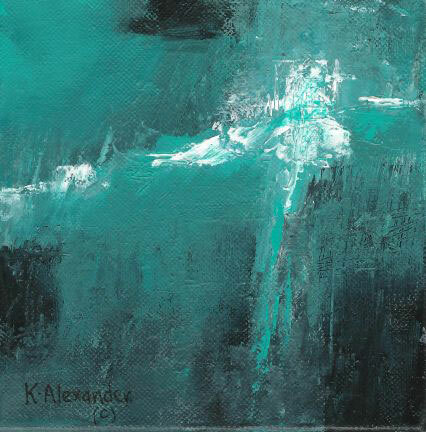 His work does not define a specific place, but emphasizes mood, light, warmth, and relaxation. “The landscape should transport the viewer into a familiar place, but with curiosity of time, temperature, season, texture, pattern, and wonderful color,” Jack explains. The exhibition “Filtered Light” will hang at Raven’s Wish Gallery, 101 West Milwaukee Street in Janesville, through July 26th. An artist reception will be held on Friday, June 30th from 6 pm – 8 pm at the gallery. These events are free and open to the public. To learn more about Jack, click here. An artist reception will be held from 6 pm to 8 pm on Friday, March 31st at Raven’s Wish Gallery, 101 W. Milwaukee Street in Janesville. The exhibition will hang through April 26th and the gallery is open from 10 am to 6 pm Monday through Friday and 10 am to 3 pm on Saturday. We are hosting a book signing by author Pat Hall featuring her book,"Gloppy," on Friday, March 17th from 5 pm to 7 pm. "Gloppy" is illustrated by Pat's daughter Emmeline Hall Forrestal. Hall and Forrestal are also the author and illustrator of "Ida May's Borrowed Trouble" and "Beasties". When fourth grader Mitch's bowl of cafeteria chili comes to life, his friend Andy convinces him to sneak it home. Mitch gets a crash course in responsibility as he learns to care for his unusual pet. What does it eat? What do you do when it poops? Where will it sleep? As Gloppy grows and matures, Mitch grows some insight into fatherhood and his own absent dad. Raven’s Wish Gallery is pleased to announce a fiber art exhibition by Kristine Moser of Janesville. What Color is Christmas? is a collection of art dedicated to exploring the essence of Christmas through color. Moser’s creations include ornaments, wreaths, tapestries, and scarves. An artist reception will be held from 5 pm to 7 pm on December 1st at Raven’s Wish Gallery, 101 W. Milwaukee Street in Janesville. The exhibition will hang through January 3rd and the gallery is open from 10 am to 6 pm Monday through Friday and 10 am to 3 pm on Saturday. 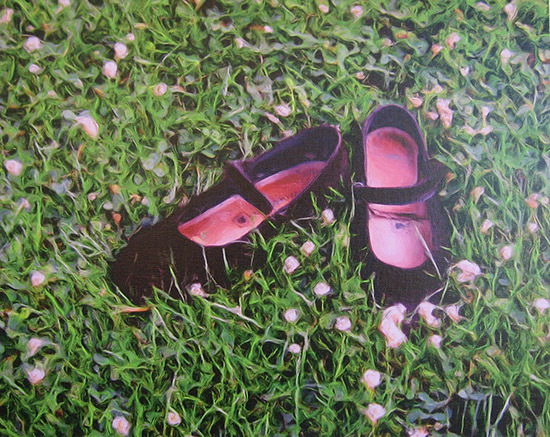 Raven’s Wish Gallery is pleased to announce an art exhibition by Janesville artist Sophie Hansen. “Standing on the Edge” is a collection of works in assorted mediums including acrylic, oil, watercolor, and graphite. Hansen is all about ideas stating “the shot of color, the expression of form, the brilliant highlights and complex structures all come together on canvas or paper.” The exhibition opens on October 28th at Raven’s Wish Gallery, 101 W. Milwaukee St. in historic downtown Janesville. An artist reception will be held on Saturday, November 5th from 2 pm to 4 pm. The exhibition is free, the public is welcome, and the artwork can be seen during gallery hours through November 26th. Raven’s Wish Gallery is pleased to announce an art exhibition by turned wood artists Richard & Bridget Zemlo. An artist reception will be held on Saturday, July 30th from 1 pm to 3 pm. Both the reception and exhibition are FREE and open to the public, and the show will hang through August 31st. Richard, a retired gemologist, and Bridget, a retired industrial design engineer, have their home and studio in Brodhead, Wisconsin. They have been creating turned wood objects for more than 20 years. Many of their works are from local wood including trees from their own property. The Zemlos are members of the American Association of Woodturners, Badger Woodturners, Madison Art Guild, Wisconsin Alliance of Artists and Craftspeople, and the 14 South Artists. Attending woodturning symposiums and classes has encouraged them to experiment with new materials and methods, as well as using collaboration in their work. Richard is a self-taught blacksmith and sculptor. He uses primarily new material, first cutting petals and leaves from flat sheets of steel. Secondly, those are heated in a coal forge and hammered into the desired shape. Finally, all are welded together to create the unification of his vision. Most of Richard’s work has a floral design alluding to his love of nature and the outdoors. He enjoys the opportunity and challenge of working rigid metal to form soft, flowing botanical designs. Join us for an artist reception on Friday, February 26th from 6-8pm to see the results of this "Three Tubes of Paint" challenge where a group of artists were given a limited palette. Raven’s Wish Gallery is pleased to welcome Sandie Bacon, a Golden Paint Working Artist, for a demonstration and sharing of new products on Saturday, October 3rd from 10:30 am to 12:30 pm. Bacon is a classically trained, versatile artist who resides in the Chicago area. She has been a Golden Paint working artist since 2006, and generously shares her enthusiasm and knowledge in her lectures, demonstrations, and workshops. Bacon will discuss the unique properties of Golden Paint Fluid, Heavy Body, OPEN, and High Flow Acrylics. She will also talk about grounds for painting, drawing, pastel, digital printing, and mixed media. The presentation is FREE and open to the public. However, registration is required as seating is limited. Please call 608-757-2622 for reservations. Raven’s Wish Gallery is pleased to announce an exhibition by clockmakers Susan Wood (formerly of Janesville) and Ron Widenhoefer. Susan and Ron are longtime friends through the Minnesota Clockmakers Guild. Their working styles and purpose for building clocks are different but the resulting clocks they each build are both a tribute to a very old craft (clocks have been made since the 1300’s), and a celebration of mechanical beauty. All of the clocks in the exhibit are working time keepers and fascinating kinetic sculptures. 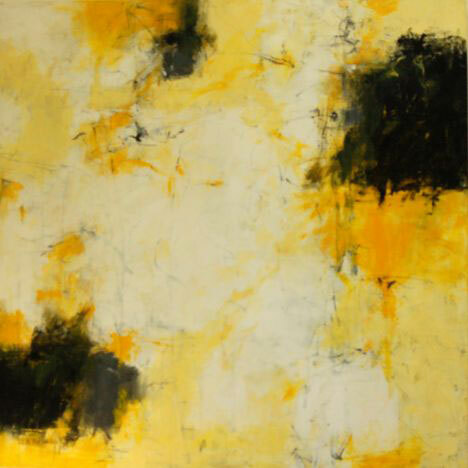 Susan Wood began learning about clocks in 1990 as part of her work handling art at the Minneapolis Institute of Arts. Night classes at Saint Paul Technical institute (now Saint Paul College) introduced her to the repair of mechanical clocks. 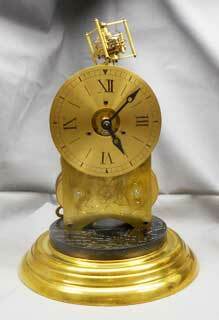 For Susan mechanical clocks have become more than just keepers of time and regulators of the world. Ron Widenhoefer is a retired mechanical engineer. Nearing retirement he took clock repair classes at the St Paul Technical College in St. Paul, Minnesota. His interest in clocks began with inherited watch tools and lathe from his grandfather. It seemed logical for Ron to pick up on clock work as his working life had been spent designing products and production machines. An artist reception for Wood and Widenhoefer will be held from 6 pm to 8 pm on Friday, October 2nd at Raven’s Wish Gallery, 101 W. Milwaukee Street in Janesville. The exhibition will hang through October 28th and the gallery is open from 10 am to 6 pm Monday through Friday, 10 am to 3 pm on Saturday, and during the fall from 11 am to 3 pm on Sunday. Join us for an artists' reception Friday, February 27th from 4-6pm. The exhibit will hang through March 7th. From an informal poll of artists, art collectors and patrons, Raven’s Wish Gallery has identified the most widely-known and most well-respected artists in our area. The results are showcased in an upcoming art exhibition: 25 Local Artists You Should Know. Our goal is to bring together “working” artists, with a regular studio practice, who carve out time from their busy days for a few hours of painting. At various stages in their art careers, they range from recognized art professionals to younger artists launching their businesses, and they work in a variety of mediums including acrylic, oil, watercolor, mixed media, and etching.